#creationinmotion | music. culture. travel. food. Hi. My name is Craig. I am an artist, writer, musician, and filmmaker. I am passionate about developing human potential, and my various projects exist to explore these possibilities. I see the changes that are going on in the world and I see where we are potentially heading. I express these visions through my stories, music, and art, in the hope of inspiring people to wake up to our true nature, along with all we can achieve when we remember the truth about ourselves. Ultimately, I want to create paradise on earth. Not on my own of course, but through community, collaboration, and co-creation. We can all make the world a better place, and the only way forward is to do this together. If you feel what I'm saying, get in touch. Let's make amazing things happen. Where Truth and Fiction Collide. Imagine it. We create it. Craig and Alison's travel vlog. My art takes the form of stories, music, and film. I have been writing stories for most of my life. I created Paracosmos as a platform for my stories, and use it to publish comic books and animated short films. I write and produce songs and perform them as matek, and I also create ambient soundscapes and experimental electronic music. I create music to accompany my stories, and release these as soundtracks. I see filmmaking as an extension of my desire to tell stories. I co-created a travel vlog called The Space Around Us with my partner Alison, and we use this as a platform to tell our story. I love to collaborate, and I take on select projects if I resonate with them and they line up with my mission on earth. 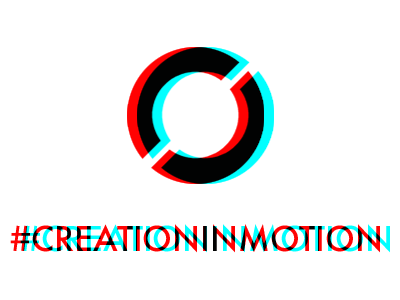 See some of my work at my #creationinmotion media page. Art is a kind of innate drive that seizes a human being and makes him its instrument. The artist is not a person endowed with free will who seeks his own ends, but one who allows art to realize its purpose through him. As a human being he may have moods and a will and personal aims, but as an artist he is “man” in a higher sense — he is “collective man” — one who carries and shapes the unconscious, psychic forms of mankind.